The Republic of Austria is a landlocked country in central Europe. It borders Germany and the Czech Republic to the north, Slovakia and Hungary to the east, Slovenia and Italy to the south, and Switzerland and Liechtenstein to the west. Austria is a largely mountainous country due to its location in the Alps. The Central Eastern Alps, Northern Limestone Alps and Southern Limestone Alps are all partly in Austria. Of the total area of Austria, only about a quarter can be considered low lying, and only 32% of the country is below 1,640 ft. The high mountainous Alps in the west of Austria flatten somewhat into low lands and plains in the east of the country. For all its bucolic charm and fondness for the days of empire, when Vienna sat at the centre of the vast, multinational Habsburg dynasty, Austria today is thoroughly modern, clean, efficient and eminently civilized, with uniformly excellent tourist facilities. 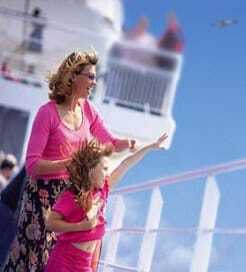 For more information, please visit our Ferries from Slovakia to Austria page.